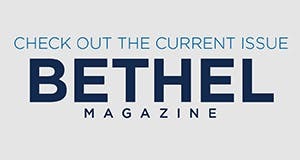 Students attended Bethel’s Day at the Capitol and Scholars Day at the Capitol to advocate for the Minnesota State Grant program and private colleges. With the Minnesota legislative session in full swing, Bethel students have taken opportunities to visit the state Capitol in the last few months. 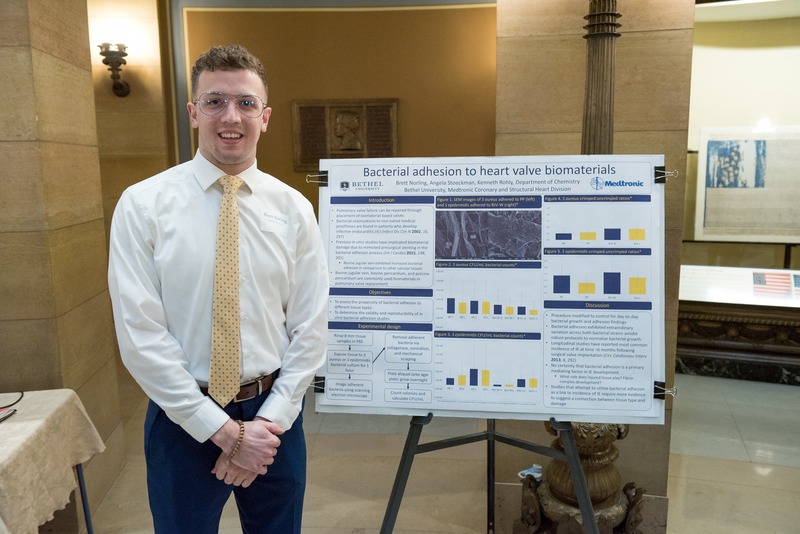 In January, three students participated in Scholars Day at the Capitol. 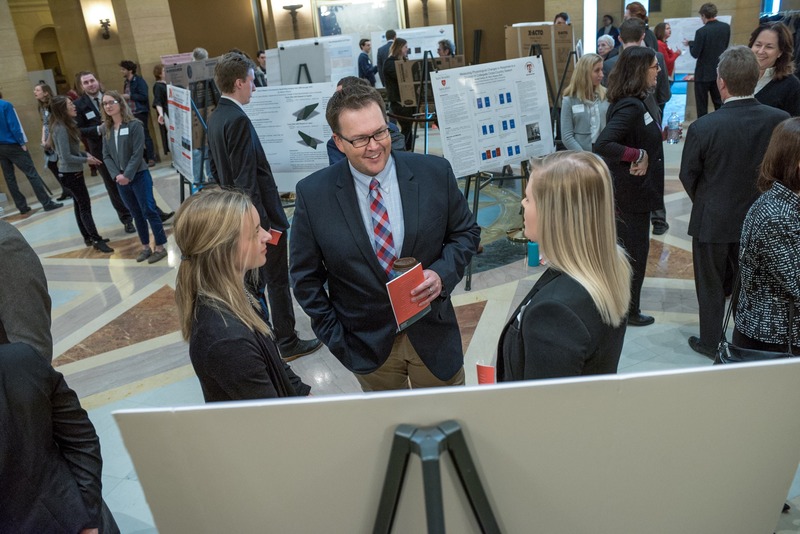 Organized by the Minnesota Private College Council, the event allowed students from private colleges in Minnesota to present research posters to legislators, employees, and visitors. 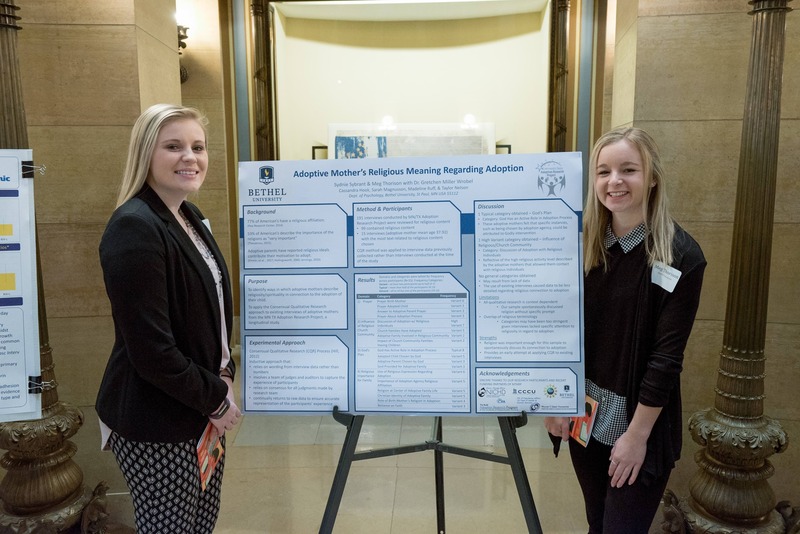 More recently, a group of students attended Bethel’s Day at the Capitol to advocate on behalf of the Minnesota State Grant program. President Jay Barnes hosted an alumni breakfast at the Capitol before joining students to meet legislators. 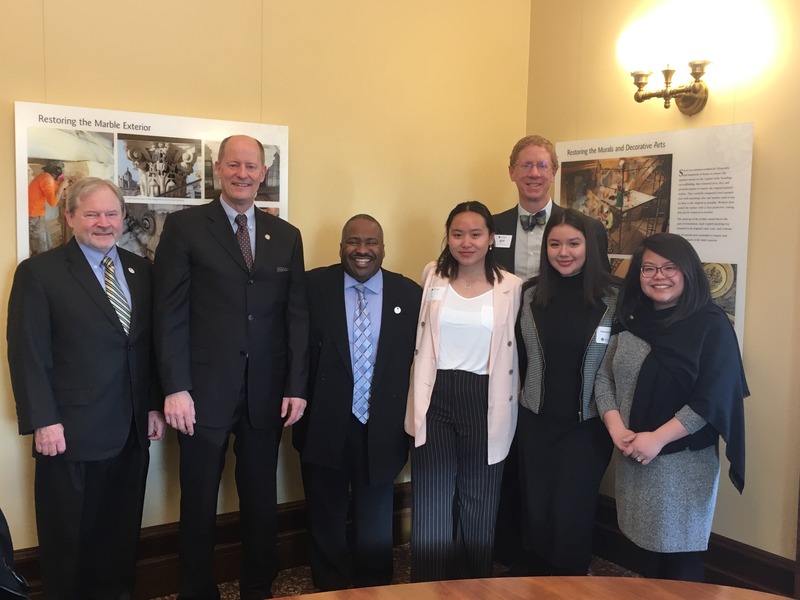 First-year business major and Act Six Scholar Tu Lor Eh Paw also testified before the Minnesota Senate’s higher education budget and finance committee, sharing how the Minnesota State Grant helps her and her family afford college. Bethel students and employees posed for a photo with Minnesota Senate Majority Leader Paul Gazelka (R-Nisswa) during Bethel’s Day at the Capitol.